From: JUPS #1, 2015 (pp. 23-32). The School of Athens or Scuola di Atene is a painting by the Italian High Renaissance artist Raphael Sanzio. 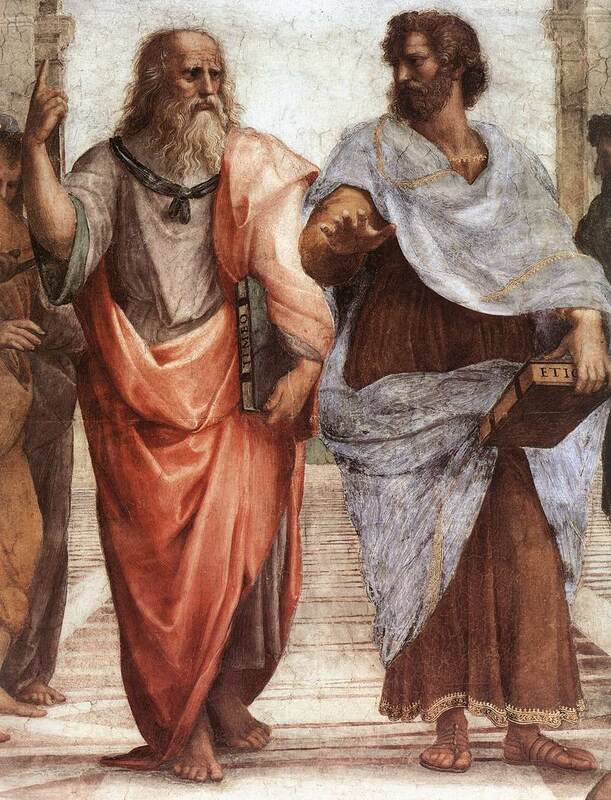 Plato (left) and Aristotle (right) are considered to be the "Fathers of Political Science." So how does the state of affairs of Ukrainian political science described above compare with the state of affairs in Western political science, in particular Western political science that studies Ukraine? As mentioned at the start, by Western political science this essay primarily speaks of American political science. Focus on the US can be justified by the fact that Western political science is rather unipolar, with about 80% of political science researchers and instructors in the world working in universities and institutions located in the United States (Sartori 2004, p. 794). Yet this is not to say that non-US political science does not deserve attention, or that without such attention this analysis is admittedly incomplete. I would recommend that readers interested in the development of political science in continental Europe consult other sources, for example (Kinnvall 2005). Within the discipline of American political science the study of Ukraine falls primarily to the sub-field of comparative politics, the defining features of this subfield make the most relevant comparison with the field of political science in Ukraine. The key problems of Ukrainian political science, as discussed above, are that most of the works tend to be normative, descriptive, atheoretical, and non-comparative. American political science has not been immune to the very same problems. In fact, one can say that these very problems characterized much of American political science from its inception in the second half of the 19th century through the inter-war period, and it is only in the post-WWII era when American political science and the comparative politics subfield became more value-neutral and embraced theory-driven comparative empirical inquiry. Consider what the discipline looked like in the early decades of its existence. As Blyth notes, in the late 19th and early 20th century before WWI, political scientists took “inspiration from the Prussian state as the model of good governance and proper public administration,” and “sought to draw general lessons from this single case in order to develop better models of governance.” (Blyth 2006, p. 493). The focus on formal state institutions and the search of the best model of governance made the discipline descriptive and normative. As Dryzek observed, “From Francis Lieber, appointed to the first American professorship in history and political science at Columbia in 1857, to Woodrow Wilson and well beyond, the main practical task of political science was seen as the establishment of a unitary national state accompanied by a virtuous national citizenry” (Dryzek 2006, p. 487) – the goal very similar to what some Ukrainian political scientists set for themselves today, as discussed above. If, in its first decades, American political science was both descriptive and normative, concerned with advocacy for the best institutions, in the inter-war period American political science became “the study of irrelevance” (Blyth 2006, p. 493). It retained the state-centric focus and attention to descriptive analysis of formal institutions, but failed to predict any of the cataclysmic events of the period such as the fall of great powers, the rise of fascism and communism, and world wars – and even to study these major events of the time (Blyth 2006). It was in the post-WWII period when the discipline underwent fundamental changes. Even though different time periods of the past seven decades can be associated with the dominance of a particular methodological approach (behavioralism, state-theory, new institutionalism, rational choice, etc. ), and adherents of these approaches at times have engaged in heated debates with each other, the overall goal of the discipline has become to explain causes of important political phenomena and variations in this phenomena across countries and regions of the world. What would it take for new post-colonial states to democratize? For underdeveloped countries to develop? Why some states managed to establish and maintain democratic forms of government while democracy in others fell to military coups and authoritarianism? Why ethnic conflicts rage in some ethnically diverse societies but not in others? These are the types of questions the field of comparative politics has been seeking to answer, and this “focus on consequential political outcomes – justice, representation, order, democracy” is what distinguishes political science as a discipline these days (Laitin 2004, p. 790). And even when proponents of different methods have disagreed on what constituted best causal explanations, they have generally remained united on the kinds of questions the discipline should be asking and how it should go about answering them – by systematically collecting and analyzing empirical data, and letting such analysis rather than one’s normative persuasions become the basis on which the validity of alternative theories is judged. Disciplinary consensus around these fundamental principles of political science disciples is evident in what has become known as the Perestroika debate that has been raging in American political science since the early 2000s. The Perestroika movement has argued against the dominance of formal methods of rational choice theory, game theory, and statistical analysis and marginalization of qualitative research and area studies. At the same time, key scholars associated with the movement such as Larry Diamond fully agree that “good work in political science cannot be merely descriptive or exclusively country-focused. … To really know a country or region well, to do good work in area studies, one must know the relevant theories of comparative political development or governance, and one must have a concern either to examine those theories in the light of the country experience, or to extend or reformulate theory from country or cross-country experienceor, ideally, both. Otherwise, we really are only doing history, and not very good history at that.” (Diamond 2002, p. 4-5). To recap, in the words of Keohane, political science has become “the study of politics through the procedures of science” (Keohane 2009, p. 359), with science understood not in a narrow sense (“requiring mathematical formulations of its propositions, precise quantitative testing, or even experimental validation”) but in a broader sense as “publicly known sets of procedures designed to make and evaluate descriptive causal inferences on the basis of self-conscious application of methods that are themselves subject to public evaluation” (Keohane 2009, p. 359). When specifying key defining features of contemporary political science, in particular of its comparative politics subfield, puzzle-driven research needs to be mentioned. Puzzle-driven research is a central element in political science inquiry, including the study of Ukraine within comparative politics. What is a puzzle and why it is an important ingredient of high quality political science output? As Keohane explains, when we observe something that “does not fit with our preconceptions based on established theory,” we have identified a puzzle. “Great leaps forward in political science,” Keohane continues, “often take place when someone sees puzzles, when others have only seen facts.” (Keohane 2009, p. 360). In other words, instead of researching how democracy works in a particular country, a better question would be to puzzle over why among countries similar on several dimensions (say, economic development, geopolitical position, ethnic homogeneity etc.) some managed to establish functioning democracies while others did not. Identifying true puzzles requires knowledge of both empirical realities and existing theories. It also requires constant critical thinking about existing theories, including the most established ones. American political science welcomes this and teaches graduate students to think along those lines. As Keohane put it in this lecture to graduate students, “none of our sacred cows is immune to criticism!” (Keohane 2009, p. 362). This culture of critical thinking was entirely absent in social sciences in the Soviet period, and is still sorely lacking in Ukrainian political science. Yet another feature that sets Western and especially American political science apart from the state of the discipline in Ukraine is the role of teaching. Even though the professional reputation of political science in the West is built principally on written work, virtually all top-ranked Western political scientists are in teaching positions at collegesand universities rather than spending their careers at research institutes and think tanks (Keohane 2009, p. 360). By contrast, in Ukraine many, if not most, publishing political scientists are based in research institutes and think tanks.2How can this difference impact the quality of the work produced? Responding to Kudelia’s point that Ukrainian political science is for the most part descriptive and normative, Matsievkiy advocates distinguishing between “academic (university) research and expert (analytical) research.” The latter is conducted in think tanks and research institutes and, according to Matsievskiy, is primarily empirical – and thus presumably unfairly criticized by Kudelia (Matsievskyi 2012). However, the distinction between academic and applied political science is not uniformly accepted as valid. Some Western scholars have indeed been critical of American-style political science for its perceived failure to develop the applied branch that would “confront the theory-practice relationship” (Sartori 2004, p. 786). On this view, there is a distinction between theoretical and applied political science, and the failings of one branch do not mean another branch is plagued by the same problems, as Matsievskyi argues. However, other Western political scientists have disagreed with Sartori’s position. In a rejoinder to Sartori, Colomer argues that comparing political science with economics and criticizing the latter for not developing an applied branch like the former is misguided because the effective applied branch of any science or social science discipline can develop only after the discipline has achieved a high level of theoretical consistency, usually following long trajectory of cumulative knowledge, as economics (a discipline older than political science) did before applied economics developed in the last two or three decades (Colomer 2004, p. 793). In this case then, applied research without theoretical research “is neither science nor a contribution to cumulative knowledge or intellectual, material, or moral progress of human beings. Atheoretical applied teaching can transmit, at most, certain tools and skills based on practitioners' experience (in business or in electoral campaigns or in whatever else)” (Colomer 2004, p. 793). 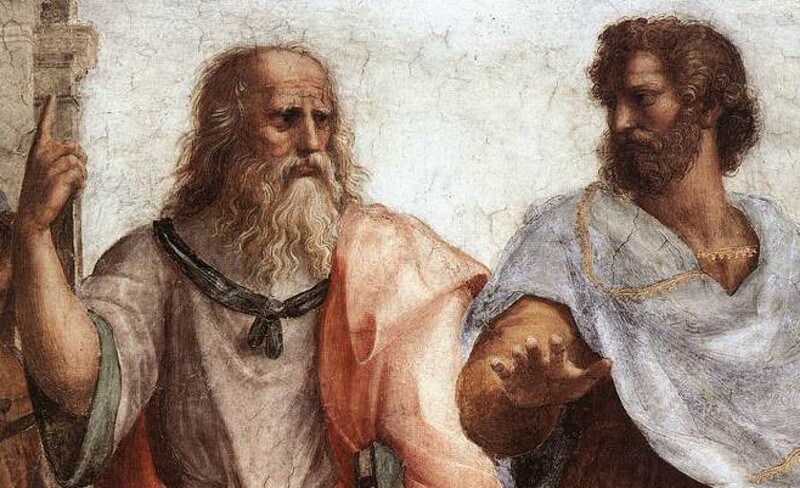 Going back to Ukraine, the weak state of academic and theoretical political science would be a hindrance to the development of quality applied political science, and the latter would be able to develop only after the former is firmly established as a unified discipline with high level of theoretical consistency. Finally, the fact that, unlike their Western counterparts, many Ukrainian political scientists are not active teachers may also hinder the development of the discipline. Keohane argues that it is not accidental that virtually all top-ranked Western political scientists are in active teaching positions. Teaching undergraduates compels one to be able to put social science arguments into ordinary language, which in turn helps to see weaknesses of theoretical arguments such as lack of clarity, redundancy, circular reasoning and others. Teaching also exposes political scientists to new ideas from “younger and more supple minds – as long as the students are sufficiently critical of the professor’s views.” (Keohane 2009, p. 360). So the fact that few political scientists in Ukraine are in active teaching positions,along with the lack of the classroom culture of critical thinking and fear or challenging authority, may be contributing to identified problems with the discipline. 1.Rudych notes in this regard that there has been a debated in Ukraine whether political science should be a separate discipline or, because it studies questions also addressed by other social sciences, political science was essentially political sociology rather than a distinct discipline. Rudych also notes that discussion took place over whether “scientific nationalism” should form the basis of Ukrainian political science, and whether Ukrainian political science should be conceived as a discipline specific to Ukraine (since in every country the study of politics is tied to national specifics). According to Rudych, the outcome of these discussions was to reject the idea that nationalism needs to be a theoretical and practical foundation of state-building in Ukraine, and also to reject the conceptualization of political science in Ukraine as a Ukraine-specific discipline. Instead, a “Ukrainian political science school” needs to be created that would contribute theories and other intellectual products that would be distinct from what other schools have to offer and thus would be the forte of Ukrainian political science. (Rudych 2003b). 2.In Ukraine there are 47 recognized think-tanks, which place Ukraine 25th in the world and 3rd in Eastern Europe (Matsievskyi 2012).